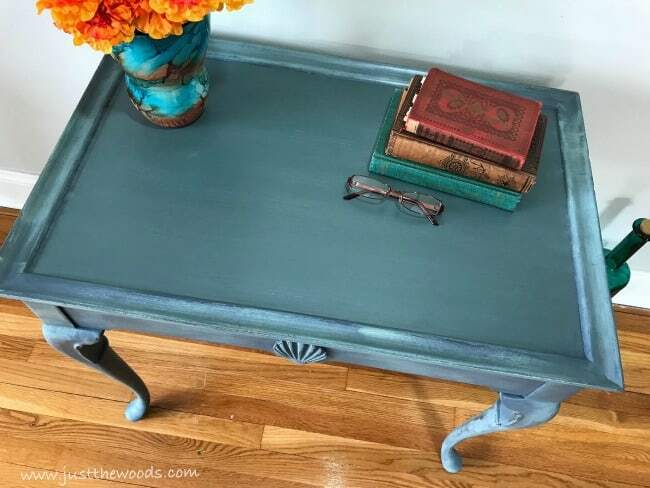 TEA TABLE MAKEOVER - How to bring it back to life in one afternoon! Hey all! 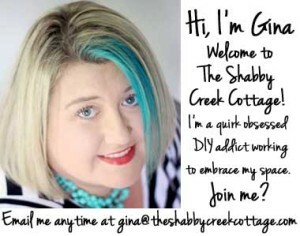 Kandice here from Just the Woods and I’m so excited to be joining you over here with Gina at the Shabby Creek Cottage blog. 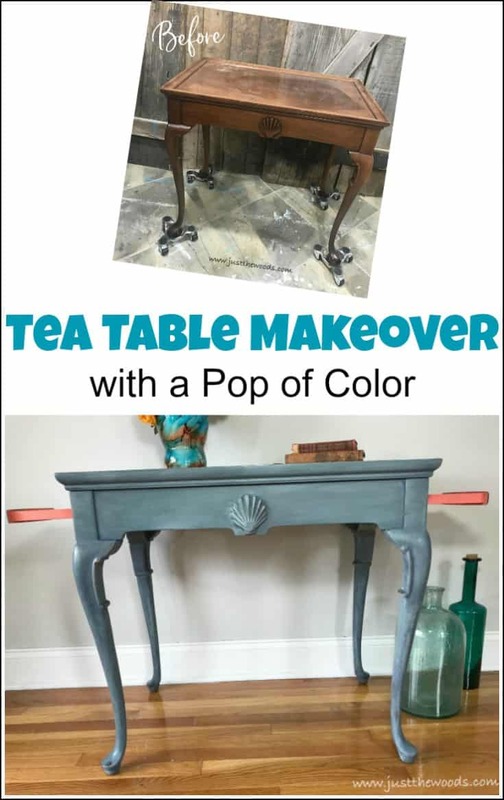 I’m sharing a tea table makeover with you today. 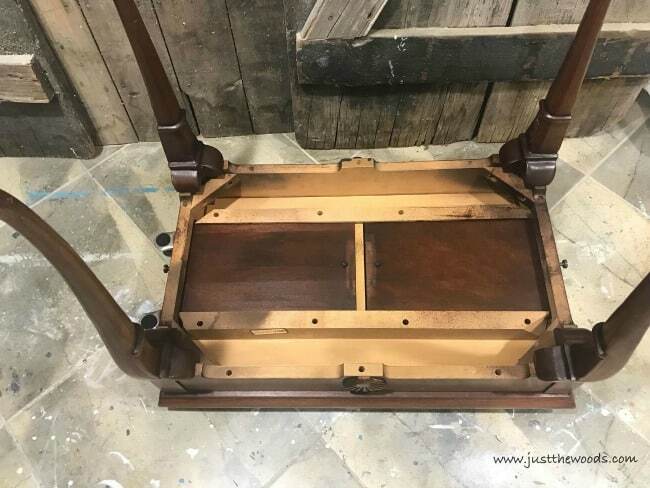 This tea table is super unique with pull out hideaway drawers on each side. 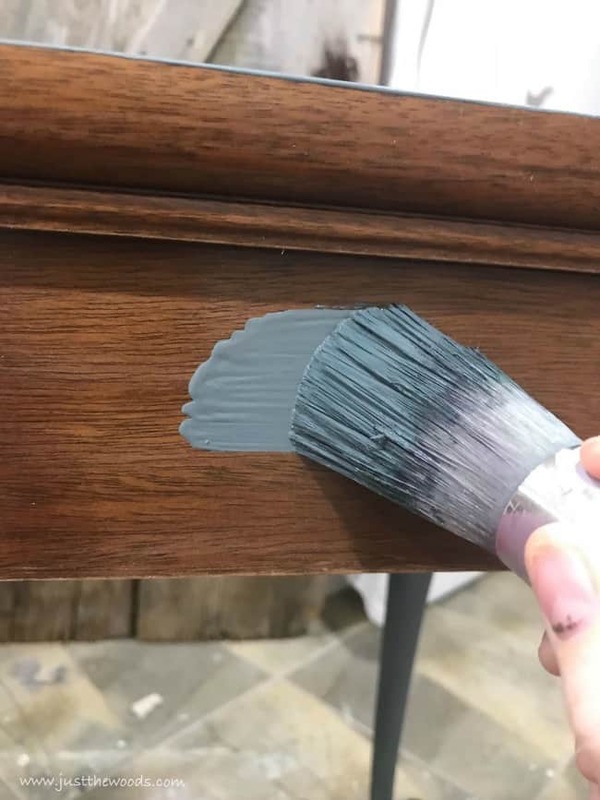 I’ve decided to jump on the opportunity to use these pull out drawers to add a pop of color. 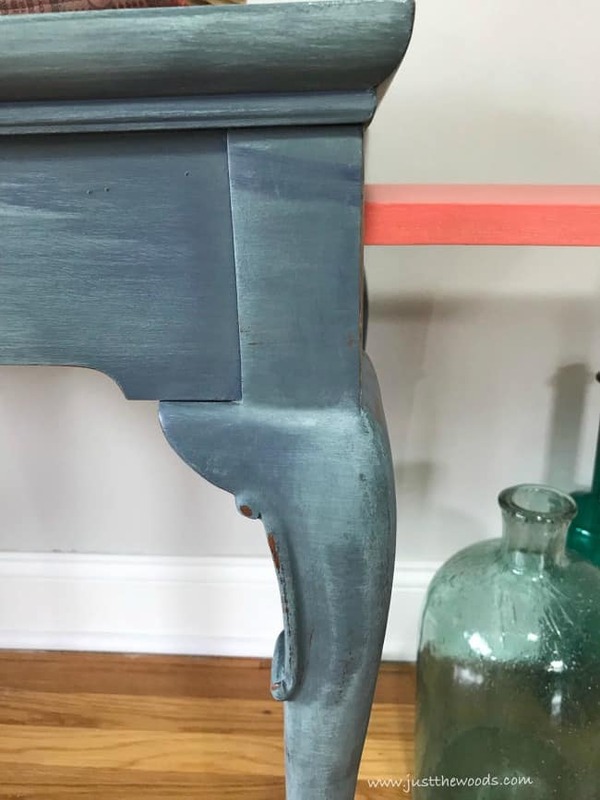 I should also warn you in advance that I am not a short and sweet blogger, but instead, I tend to give very thorough and detailed furniture posts. I hope you enjoy. 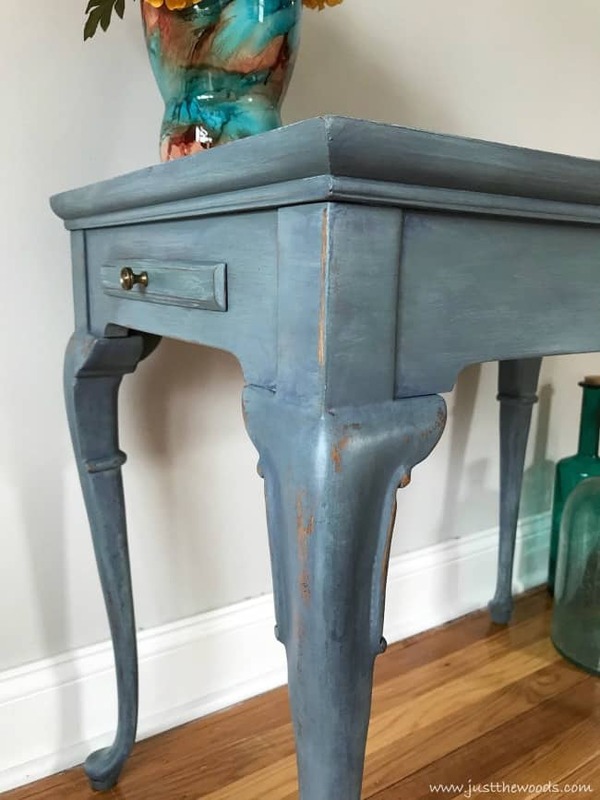 Disclosure: This tea table painted furniture post contains affiliate links for your convenience. 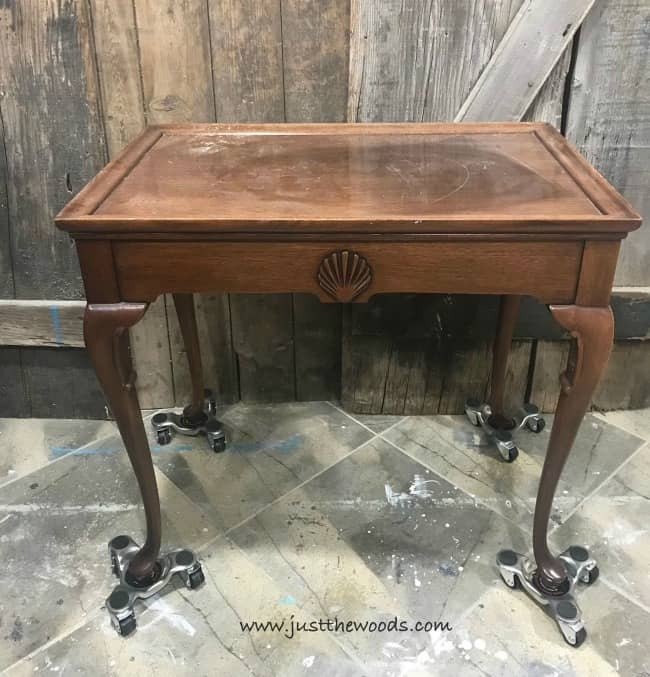 This tea table started with a few scratches, strange discoloration on top and minor flaws, but for the most part in pretty nice condition. The pretty little table feet fit perfectly on my tri-dollies which make it super easy to maneuver the table around as you work on it. 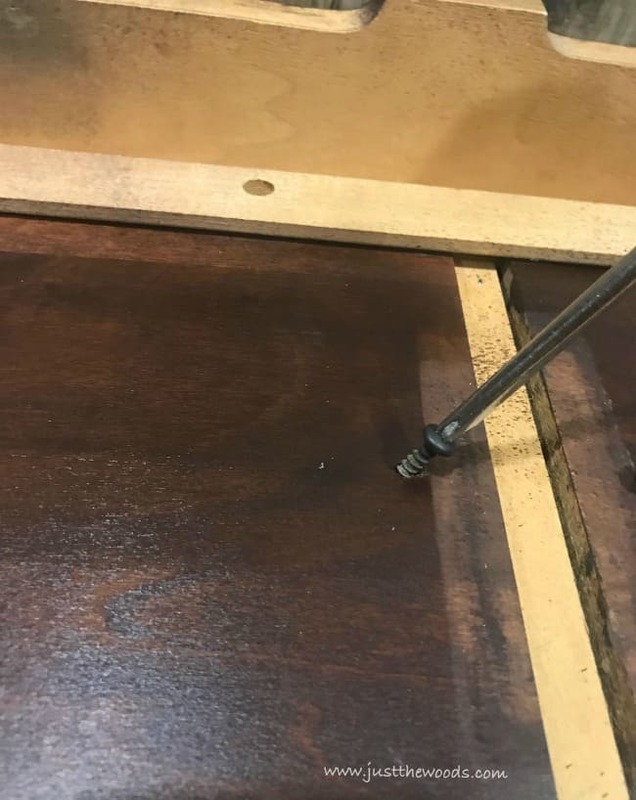 The two pull out drawers are actually held in by a simple screw underneath so before getting started you have to remove the screw and remove the drawers. Let’s flip the table over. Grab a screwdriver and remove the screw from underneath both drawers. Pull out those drawers and set them aside. Now we can continue on and prep the tea table for paint. 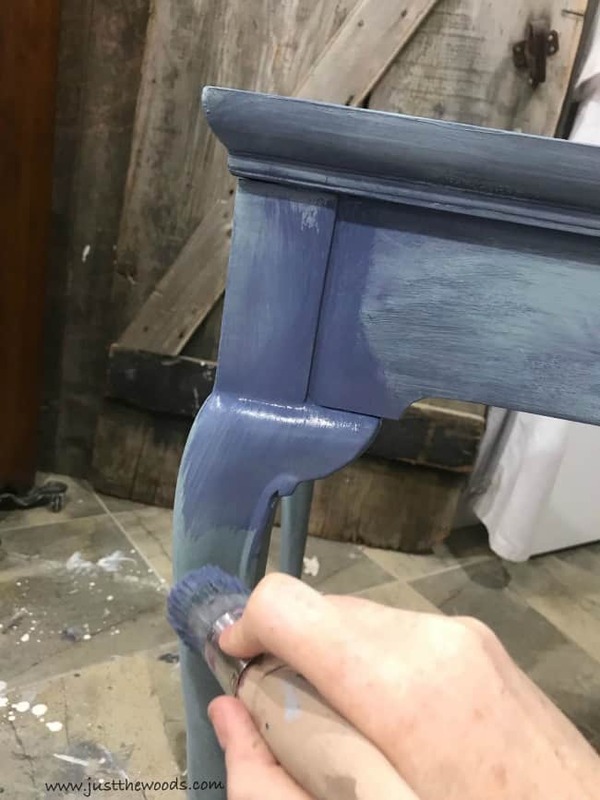 This is my full process for ‘How to Prep Painted Furniture’ on my blog. 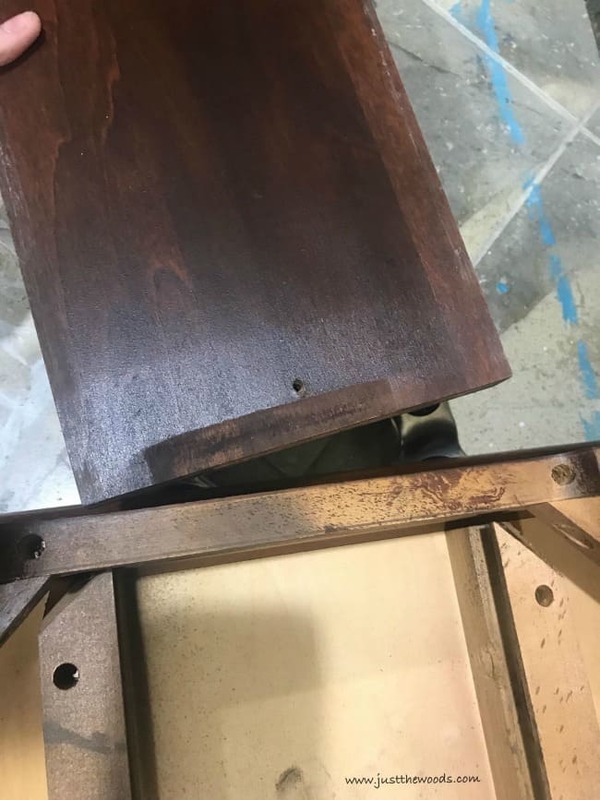 But if you want the short version, I lightly scuffed the legs with sandpaper and use my orbital sander on the table top. A quick tip for sanding indoors is to remove the dust bag from the sander and insert the hose for the shop vac. 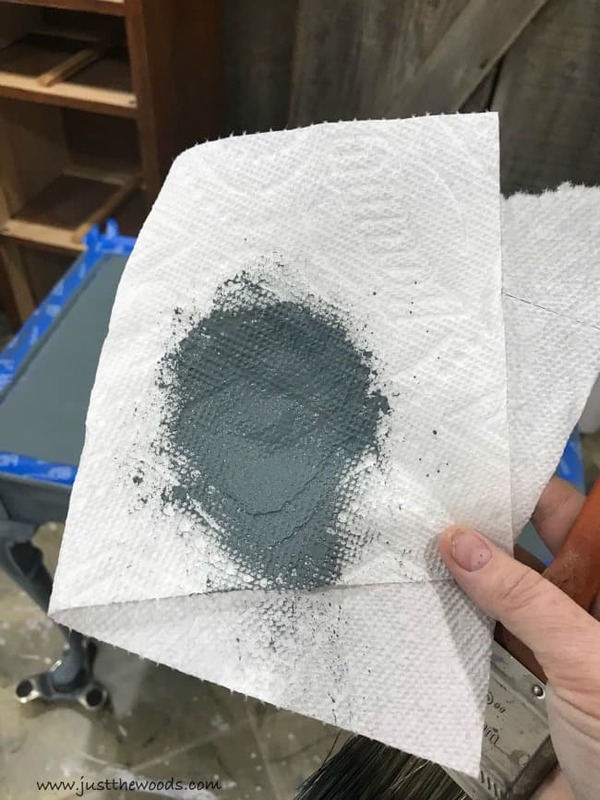 Make sure to turn on the shop vac before you turn on the sander and you will save yourself from creating a dusty mess. I first learned this little trick when sanding the wood floor inside my master bedroom during our small closet renovation. 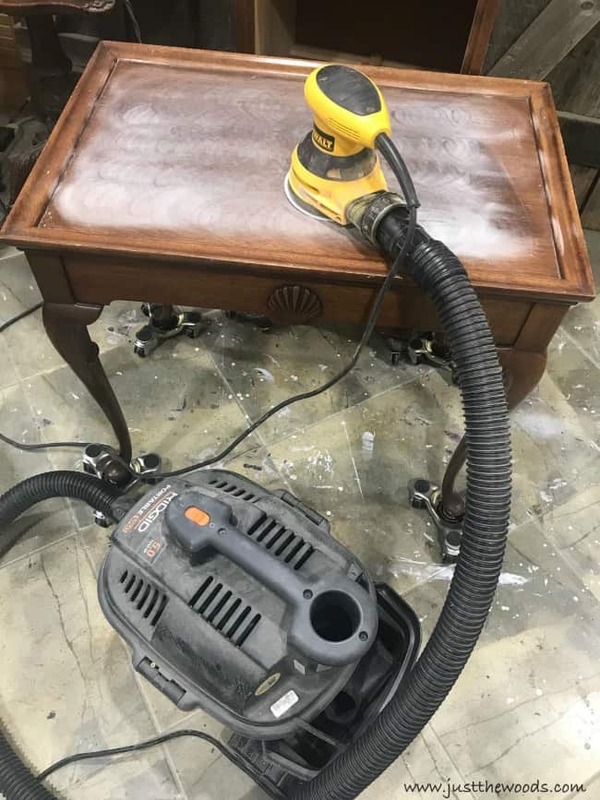 After you sand the entire table make sure to wipe it clean. 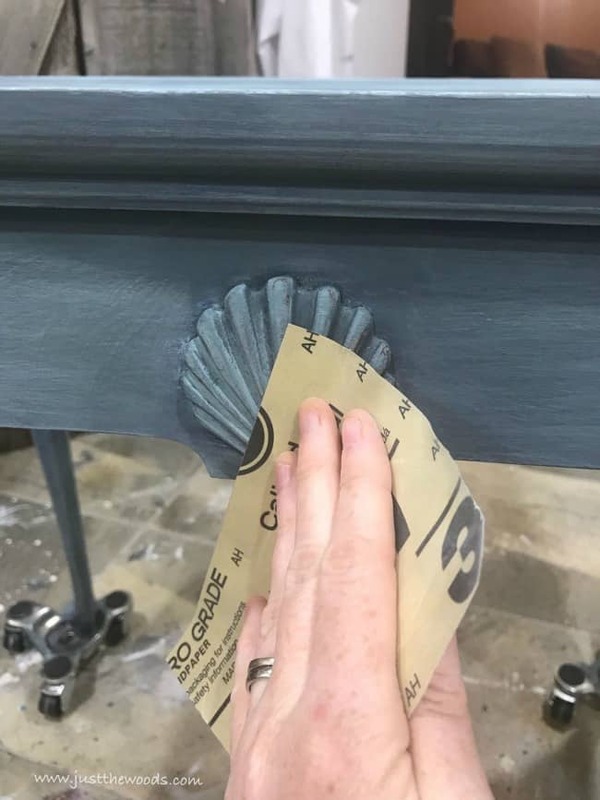 Don’t forget to sand and clean the pull out drawers that you removed too. Since this table is being donated to a local fundraiser I get a little creative freedom with how to paint. 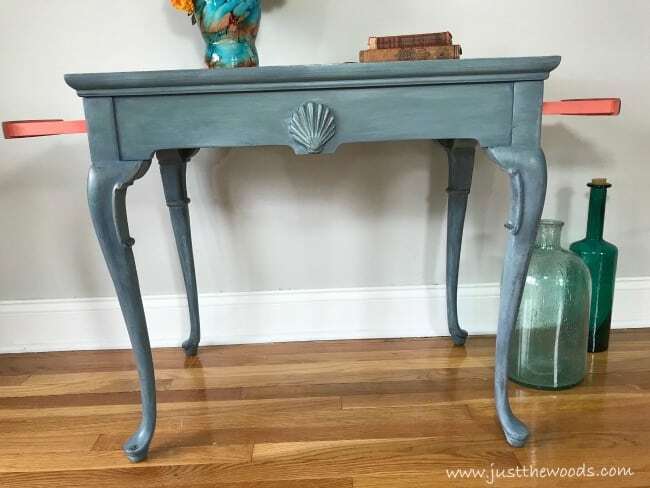 I’m going for a coastal style blues and grays on the outside with a pop of coral for the drawers. Fun right? 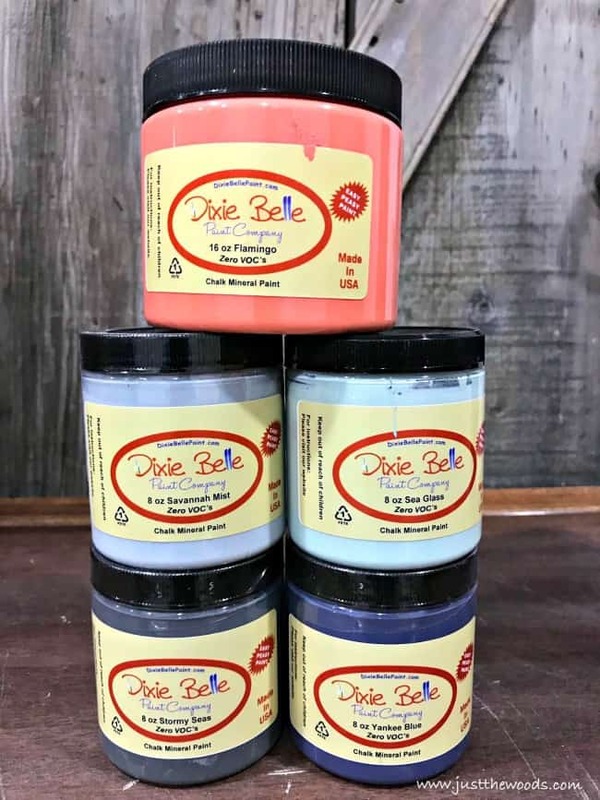 I started with these pretty colors from Dixie Belle Paint. 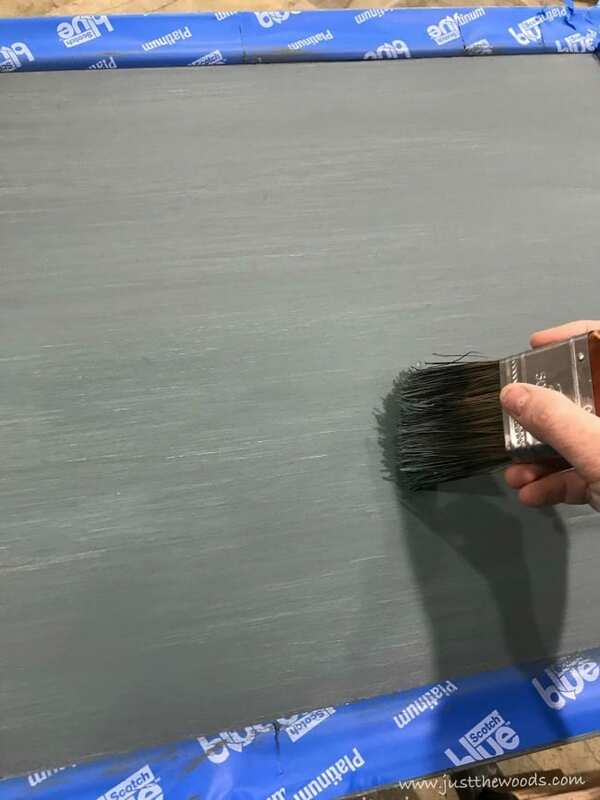 Since I don’t have an exact plan, I start with stormy seas, which is a deep gray. The entire tea table is painted in stormy seas. After stormy seas, I brush sea glass over the tea table. The sea glass is applied in less than full coverage but more than dry brushing as you can see. Next, get a water spritzer and apply yankee blue to the tea table. Focus on the creases and spritz with a little water. 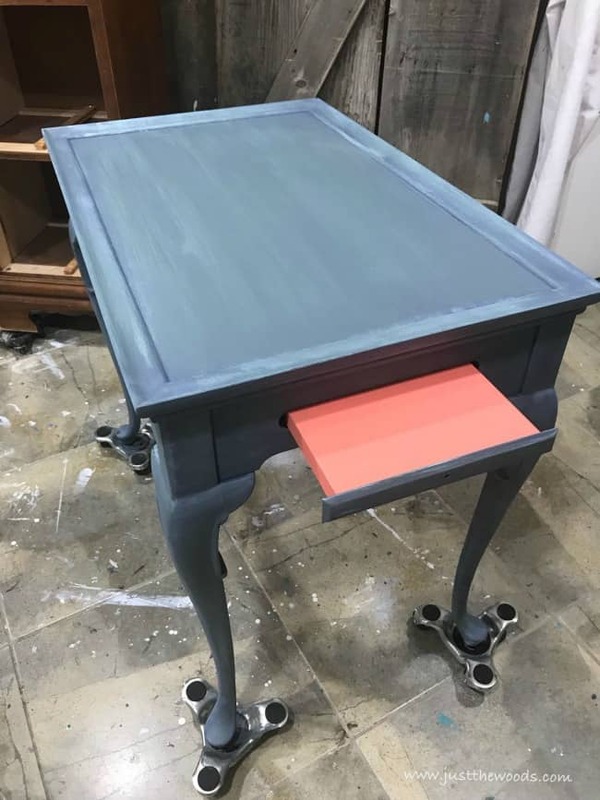 Now that the paint is slightly diluted and wetter than normal you can easily drag and spread the paint over the tea table surface. 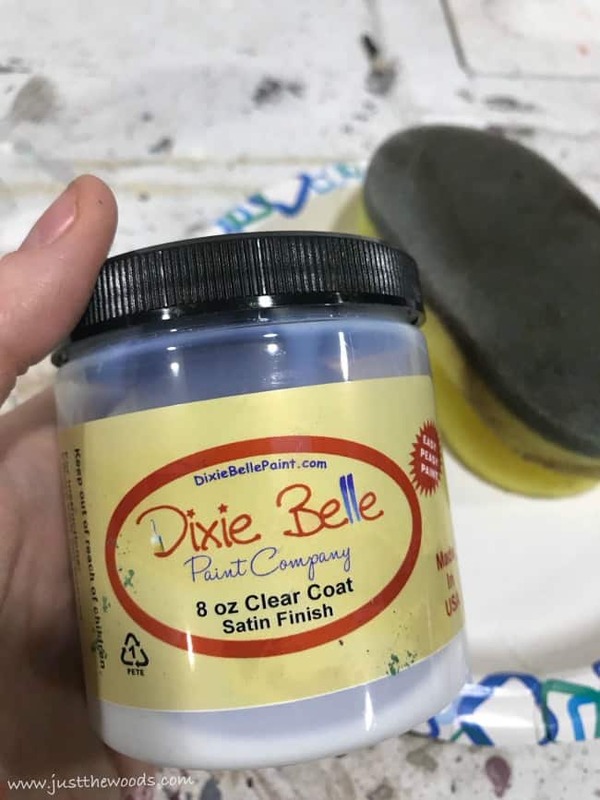 Using a clean rag or old T-shirt wipe away the wet paint before it dries creating a worn finish. 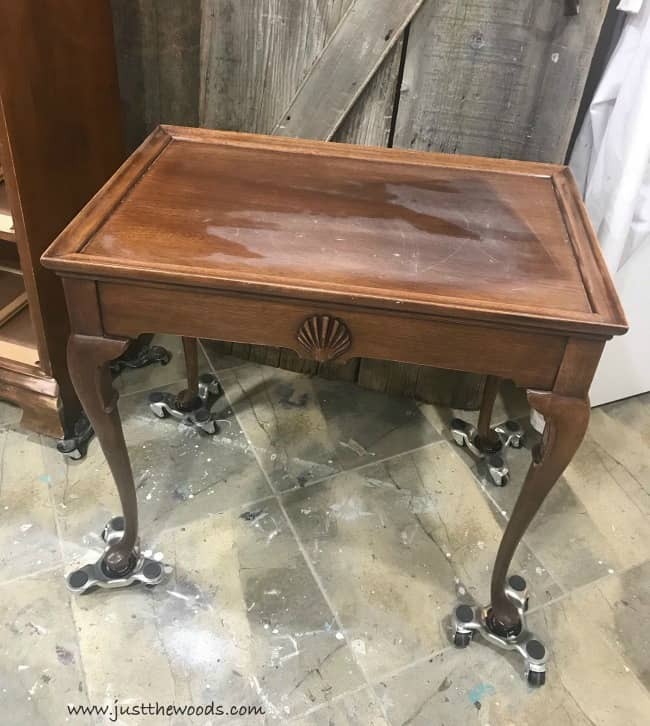 I admit that I love the look on the table skirt and legs, but the table top is not what I want. So as an added step tape off the table top. I love the scotch blue platinum tape because it tears at perfect 90-degree angles. Using an old raggedy brush I’m lightly brushing a small amount of stormy seas back over the table top. To do this, get a clean, dry, old paintbrush. 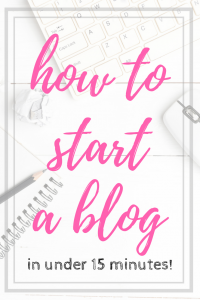 Dip the brush in your paint but don’t saturate the brush. 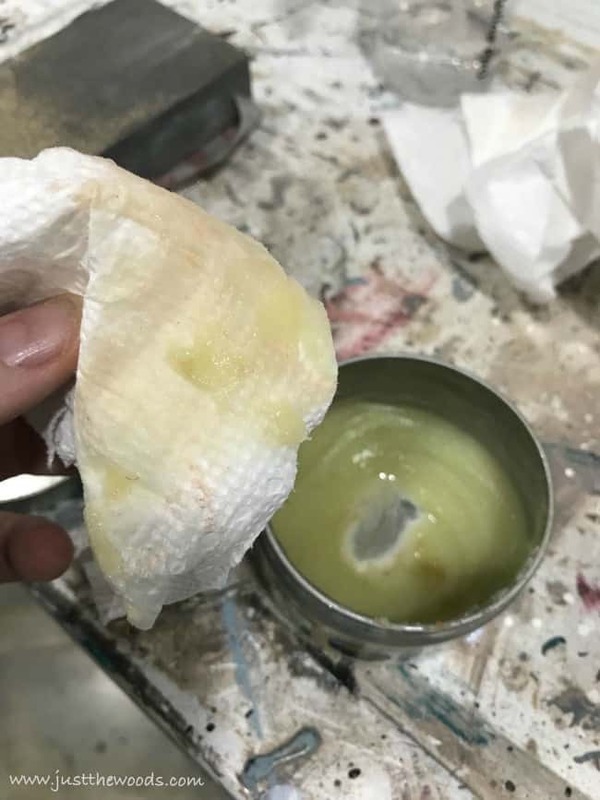 Dab off any excess paint on a paper towel. 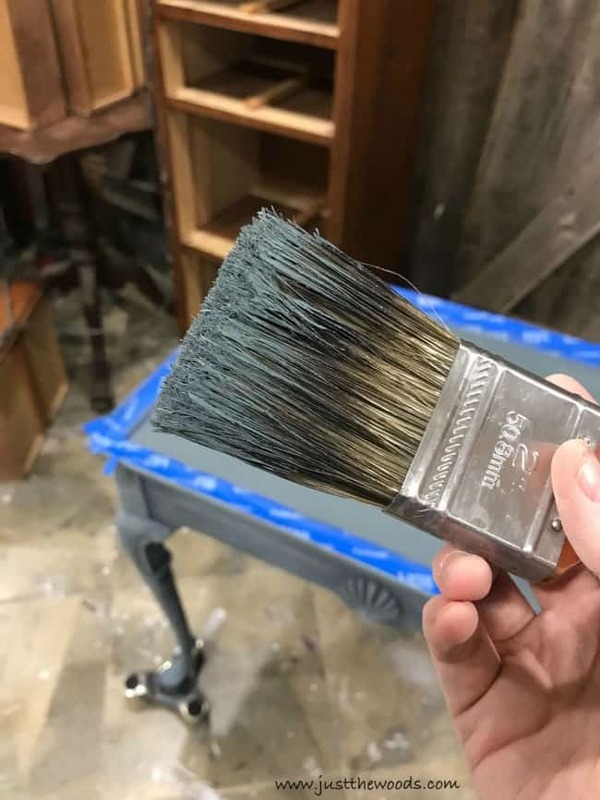 Very lightly brush over the tea table top. 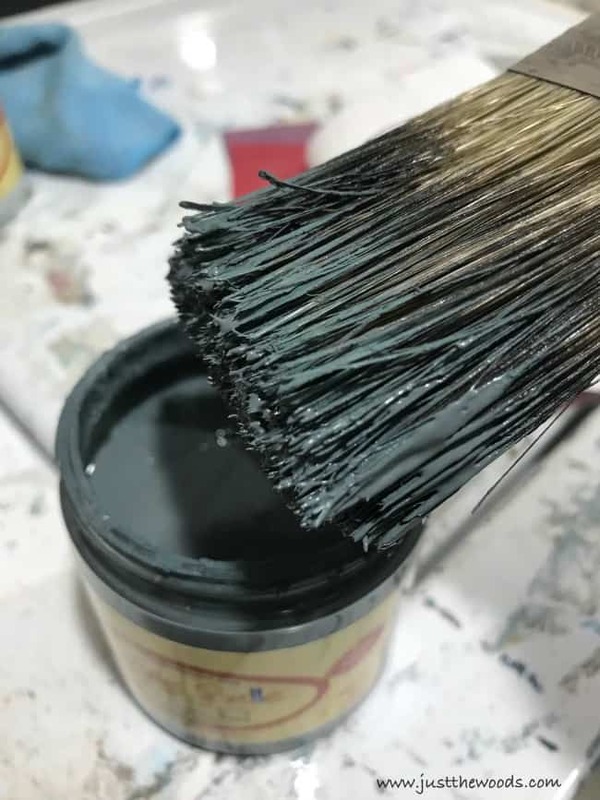 For a more detailed tutorial on the dry brushing technique, you can find it here: how to dry brush furniture. 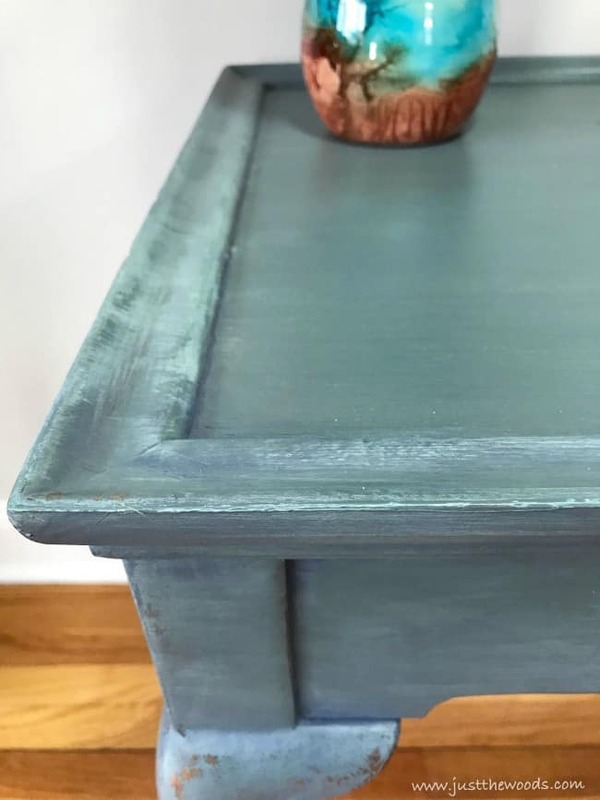 Once satisfied with your painted tea table let’s distress those edges and bring out the details. I’m using a fine grit sandpaper to distress the edges and raised details on the tea table. 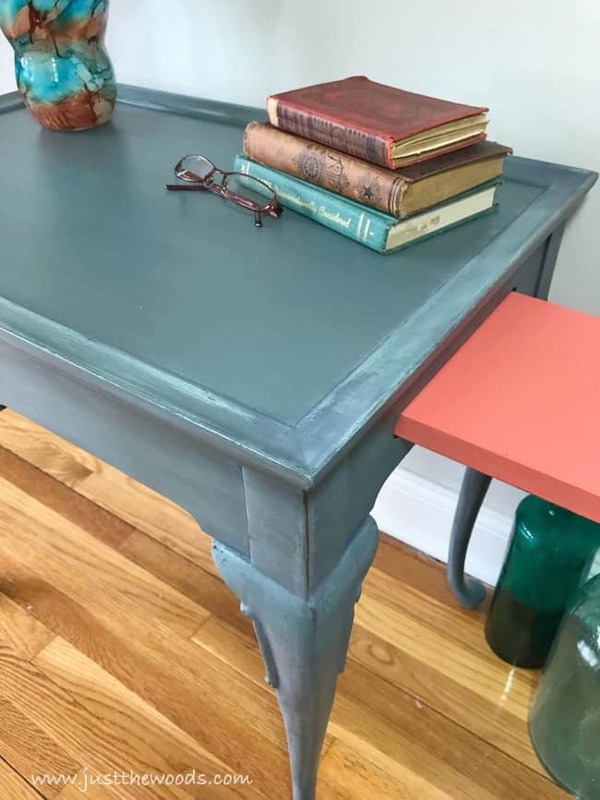 You can also lightly sand the entire surface of the painted table to get a super smooth finish. 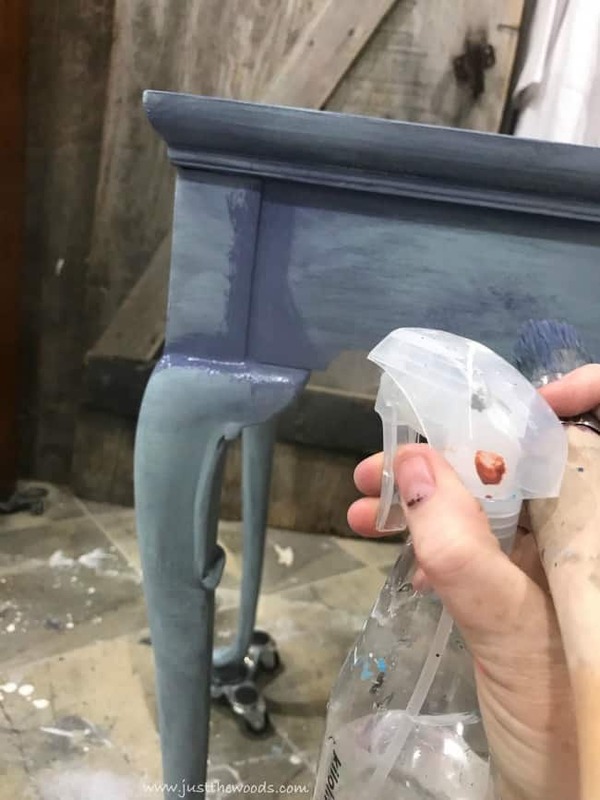 Always make sure to seal your painted furniture makeovers. 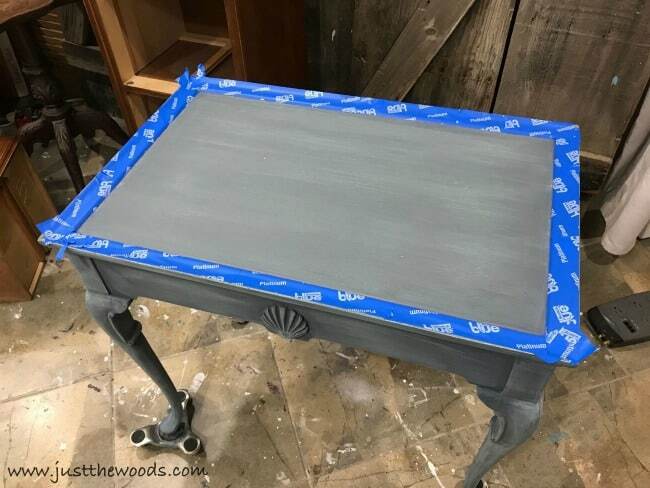 I’m using Dixie Belles satin clear coat to seal this painted tea table. 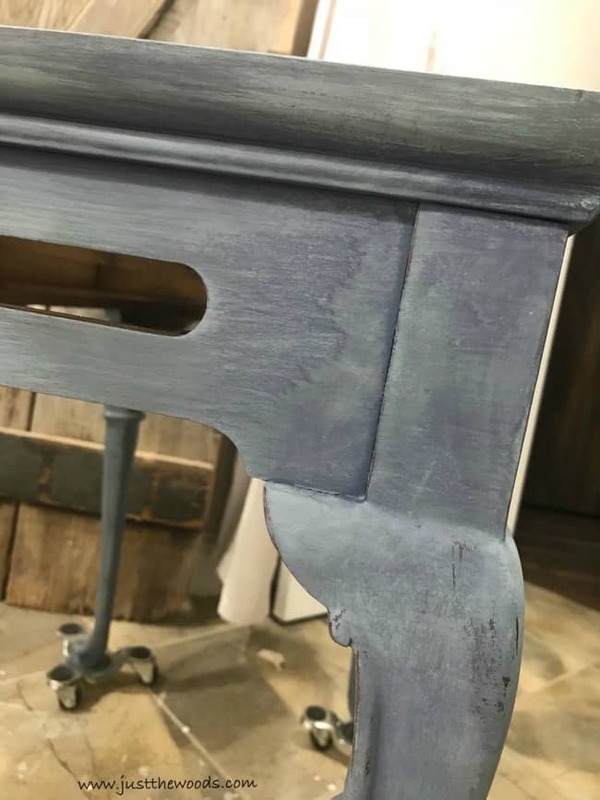 There is a full tutorial on the easiest way to sealing painted furniture here if you’d like to check it out: sealing painted furniture. 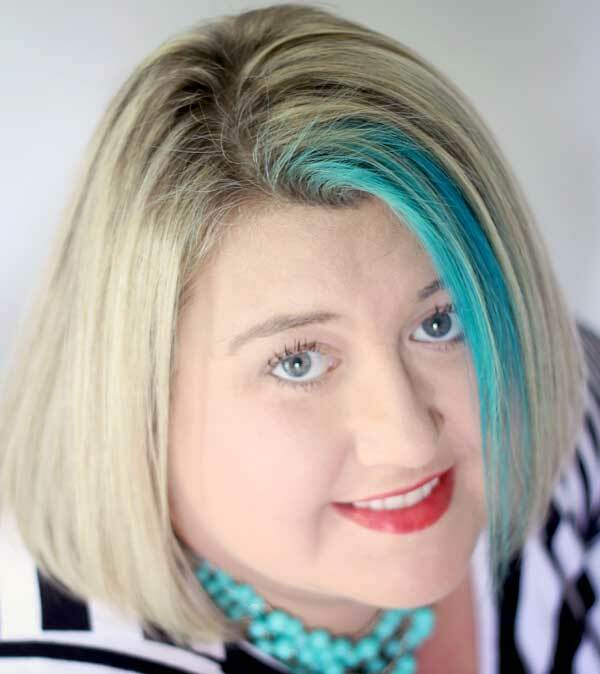 Remember that pop of color I mentioned? Those pull out drawers are painted in Flamingo which is a bold and pretty coral. 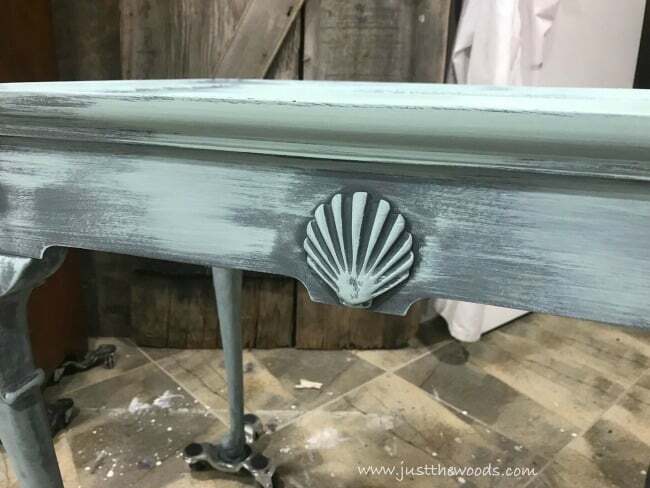 Anytime you have wooden drawers that may rub against wood you will want to lubricate them. This works for sticking drawers as well. 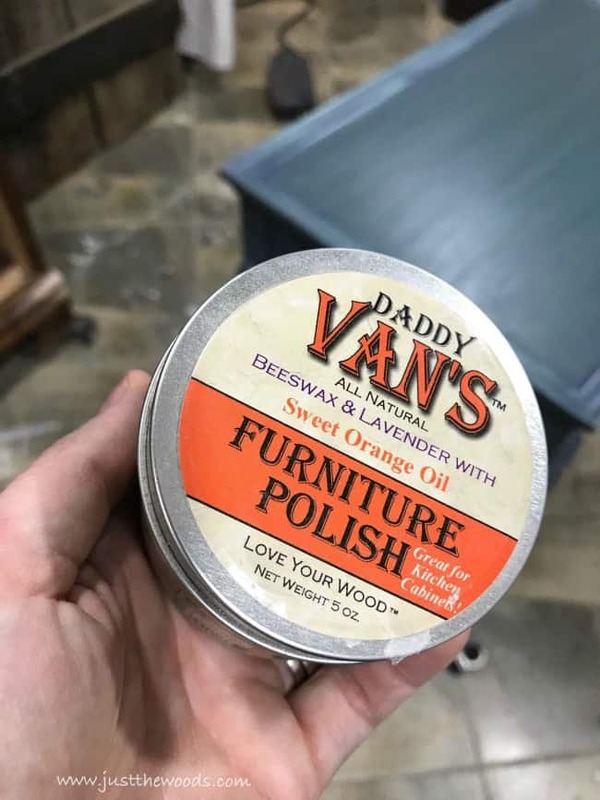 I find that Daddy Van’s furniture polish is the best product for this. It’s all natural and smells great. Simply add a little furniture polish to a paper towel. 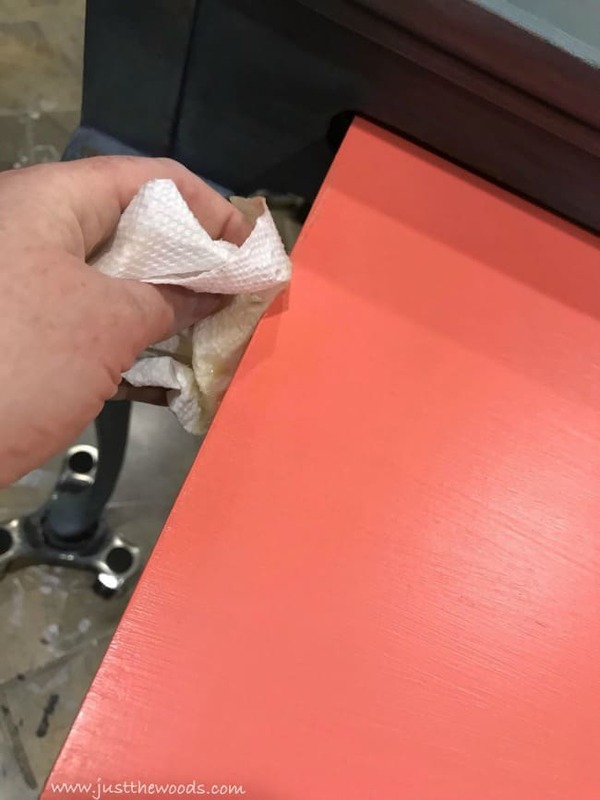 Then rub on the edges of the drawers or anywhere that wood would rub against wood. Easy peasy. 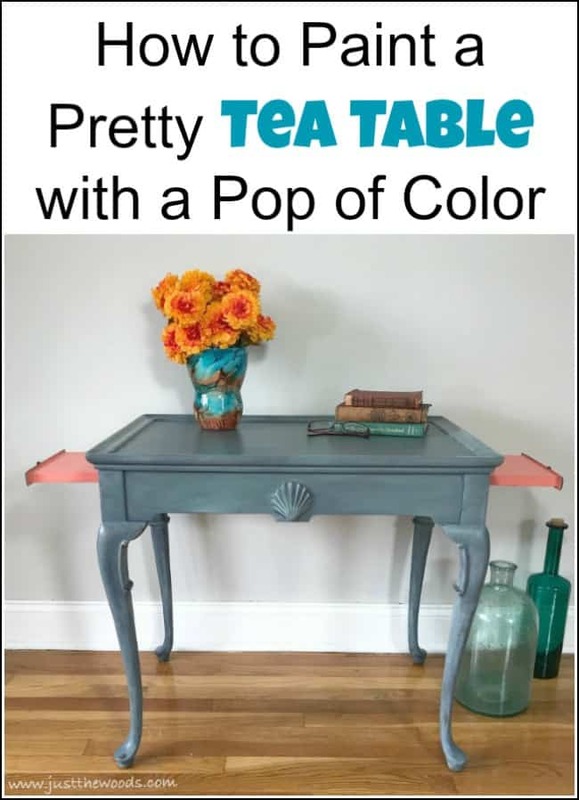 Your painted tea table makeover is complete.